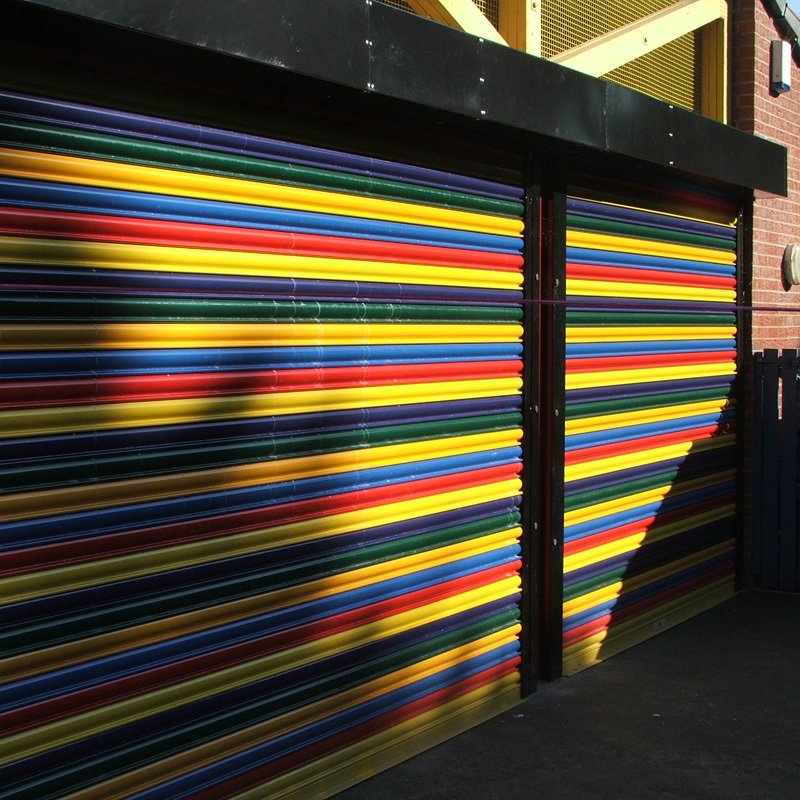 Our standard steel roller shutter is the strongest of our shutters and is fabricated in-house from 3” curly galvanised lath and comes complete with guides, flags, and canopy. 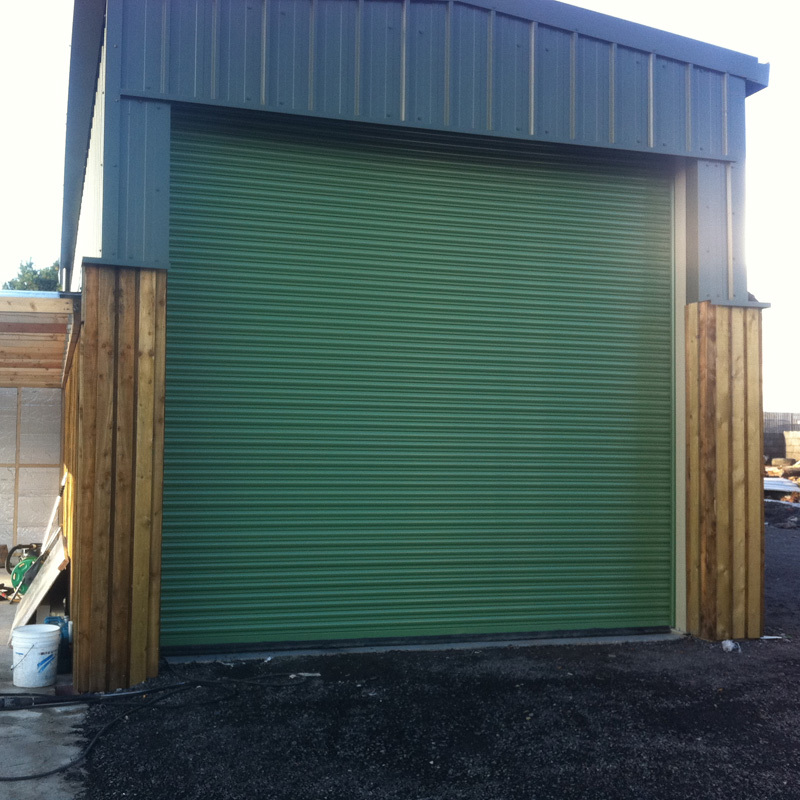 All our steel shutters are made from galvanised steel. 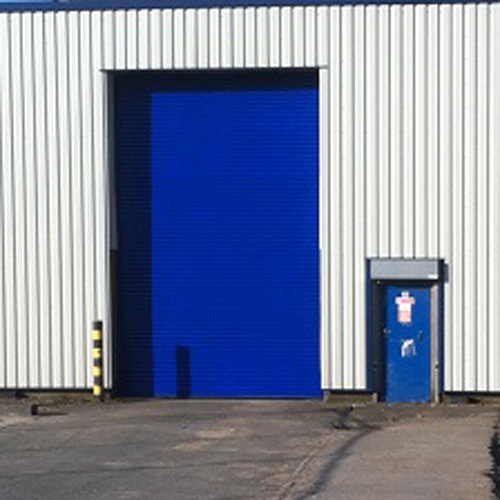 We have an in-house powder coating oven, giving you the choice of a large selection of colours. 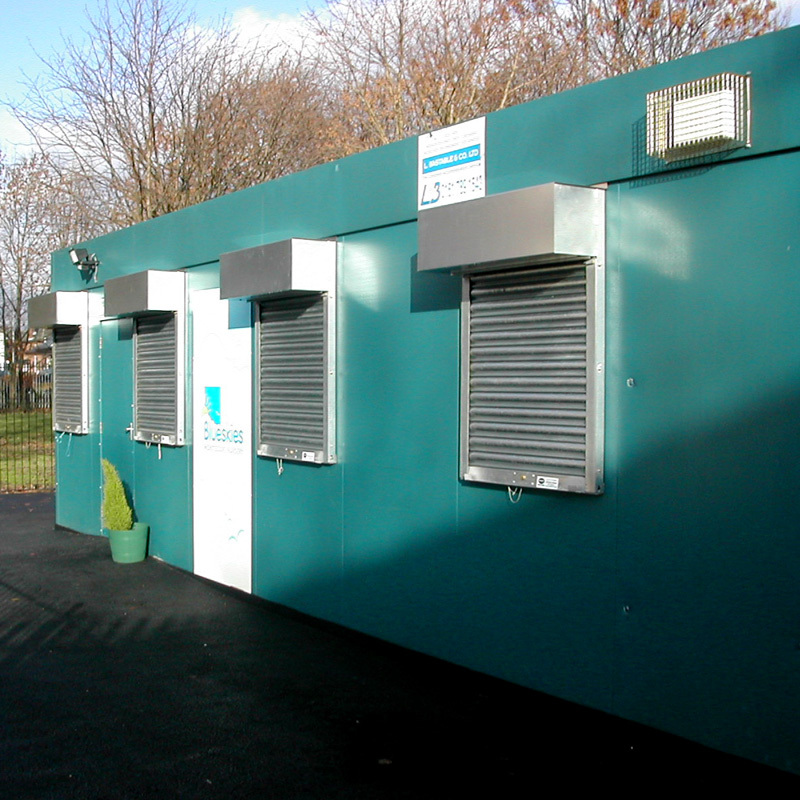 Our steel shutters can be used on domestic, retail, commercial or industrial premises. 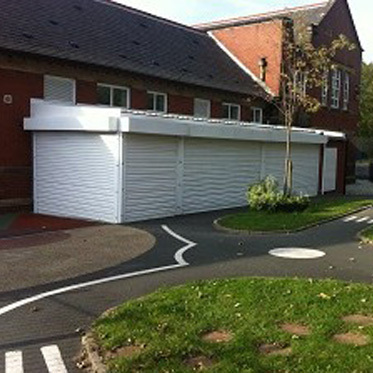 Manual shutter – Manual operation is by means of push up / pull down, with lifting handles if required. 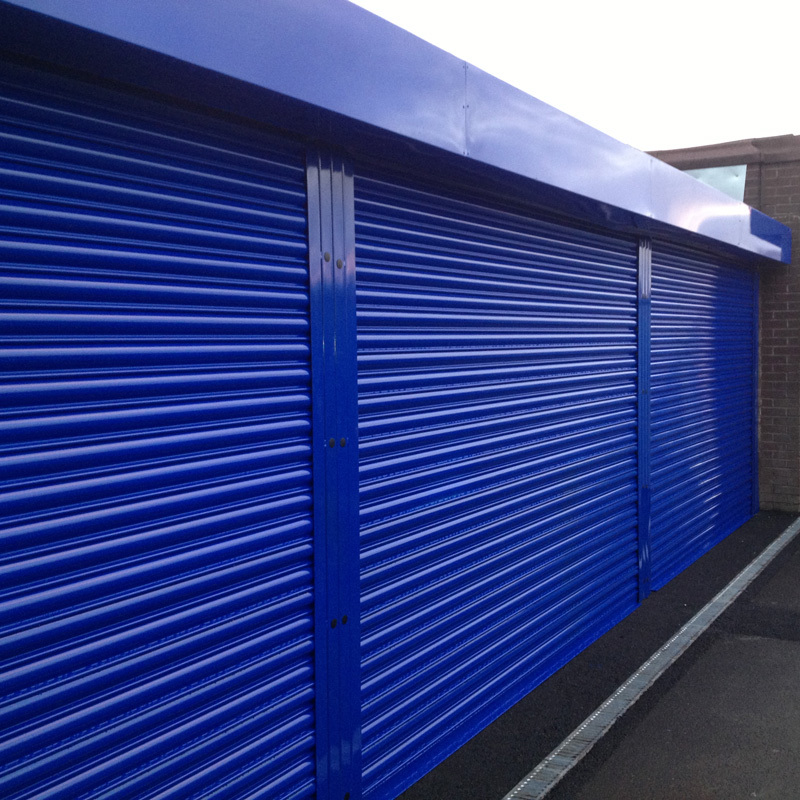 All our manual shutters are fitted complete with bullet locks for added security. Electric shutter – Electrical operation is by means of key switch, rocker switch or remote control with 2 fobs. 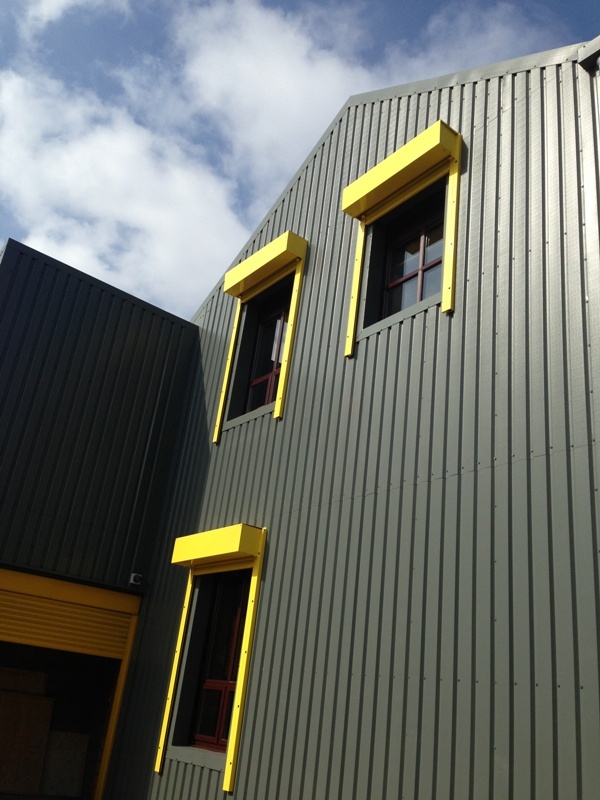 All our electric shutters are fitted with a safety brake and a manual override in case of power failure. Chain operated shutter – Manual operation is by means of a continuous galvanised haul chain, through single or double reduction gearing. A safety brake is fitted to the non-drive end of the barrel assembly to prevent uncontrolled dropping of shutter curtain.